The NEX 2, the next smartphone from Chinese electronics manufacturer Vivo, will reportedly feature two displays, three rear-facing cameras and a LED ring light, according to a recently uploaded unboxing video to YouTube. 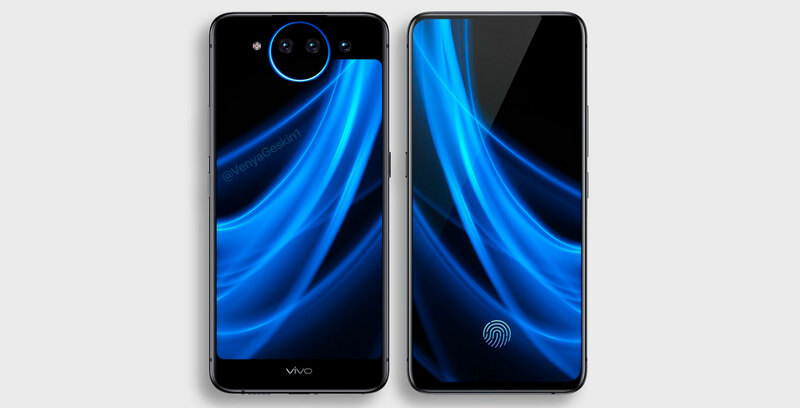 It’s a wild design, to be sure, but the company’s design choices make sense in the context of what Vivo wants to achieve with this device. To start, the dual display design of the NEX 2 is a way for Vivo to increase the phone’s screen-to-body ratio without falling back on a camera cutout. With the NEX S, Vivo achieved the same result with a pop-up camera module. It’s likely Vivo decided to switch to a dual screen design to avoid using a moving mechanical component that is more likely to break or malfunction. As with the Nubia X, another dual display smartphone, when users want to take a selfie or take part in a video call with the NEX 2, they flip the phone around and use the phone’s second screen to frame a shot. The ring-shaped LED light is a bit more of a mystery. The Verge suggests it could be used as a notification indicator. Another possibility is that the light doubles as a flash designed to produce an attractive catchlight when the user takes a selfie. Ben Geskin, who frequently creates official-looking renders of upcoming devices based on what information is available, shared a render of the NEX 2. It’s rumoured Vivo will launch the NEX 2 sometime this December. Like past Vivo devices, the NEX 2 is unlikely to come to Canada.